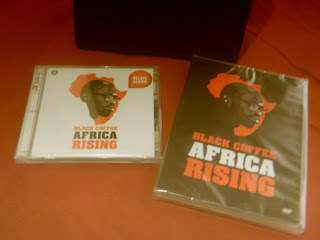 Two months ago Black Coffee launched ‘Africa Rising’ DVD which went super GOLD yesterday, the awesome news got delivered during the launch of his 3-Disc album ‘Africa Rising’ last night. The DVD is a 17 track-long which features a don’t want to miss behind the scenes where Black Coffee and business partners give away the whole process of creativity behind the project. “I was so emotional during the project, thanks we finished without tears…” Said Black Coffee. The world renowned house superstar, Black Coffee is set to dominate dance floors across the country this festive season, well, who knows, internationally too. Spread across the hot 3 album ‘Africa Rising’ is everything fans have been anticipating and dropped this November, four years after his game-changing third album ‘Homebrewed’. 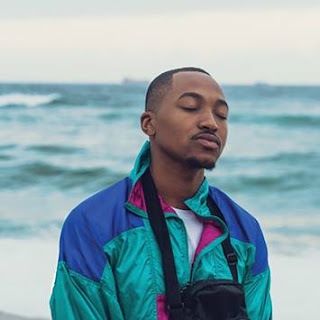 Coffee is surely representing the South African music industry internationally and he’s been a force to be reckoned with. Disc one and two were recorded live at the historic Moses Mabhida stadium in Durban. To your surprise, this was accompanied by a full 24 piece orchestra, as part of the Africa Rising initiative; while the third disc undoubtedly presents the master spinner as a world class, international artist. Wow! Also one must give it to Mbali (wife) for the support she gave to her husband, and made sure that the event went as smooth as anticipated. The launch was so intimate, it was conducted in high class. Rossie Motene, DJ Sphectacula (Metro FM), Culoe the song, Victor Ntoni (Featured), Kelly Khumalo, DJ Waras (Y FM and LIVE AMP) and Vusi Kunene were among the people who supported the Black Coffee initiative. The live two hour concert featured in the first two discs showcases a host of South African talent, such as the legendary Victor Ntoni (He was there and so excited), Black Moses (of Soul Brothers) and Brother Of Peace (BOP). The concert is also available as a superlative DVD. The third disc was recorded across the globe in hotels, airports and studios in Brooklyn, New York, and features guest artists from around the world such as, New York’s Kenny Bobien on ‘Keep on Moving’, Los Angeles’ Tortured Soul on ‘I know What’s On Your Mind’ and a lot of international artists. The brand new Black Coffee tracks/songs are pulsating with what he describes as “Soulful African/Urban Fusion”, which his legions of loyal fans now associate with Black Coffee’s trademark sound. 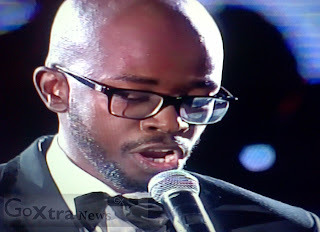 “It’s been amazing to see South African music growing to what it is today, and I am honored to be living in this era contributing to this.” Said the legend, Black Coffee. Almost forgot, thanks for the free DVD and CD combo! Yay!